A sea of gold for miles. From holiday and seasonal projects, to gourmet food and retail labeling, with a gold foil label, allow the material to do the selling for you. We recommend printing only in black on this foil material, but if you have colors that you absolutely need to print, we can run a test job for you to check print quality. Quality is our top priority! 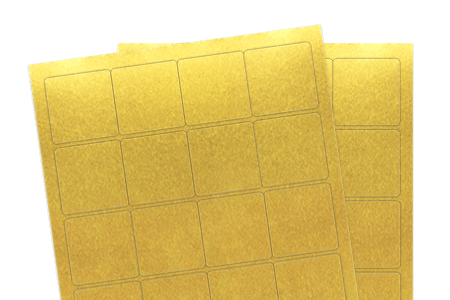 Try the gold foil label material and we promise you’ll love it!